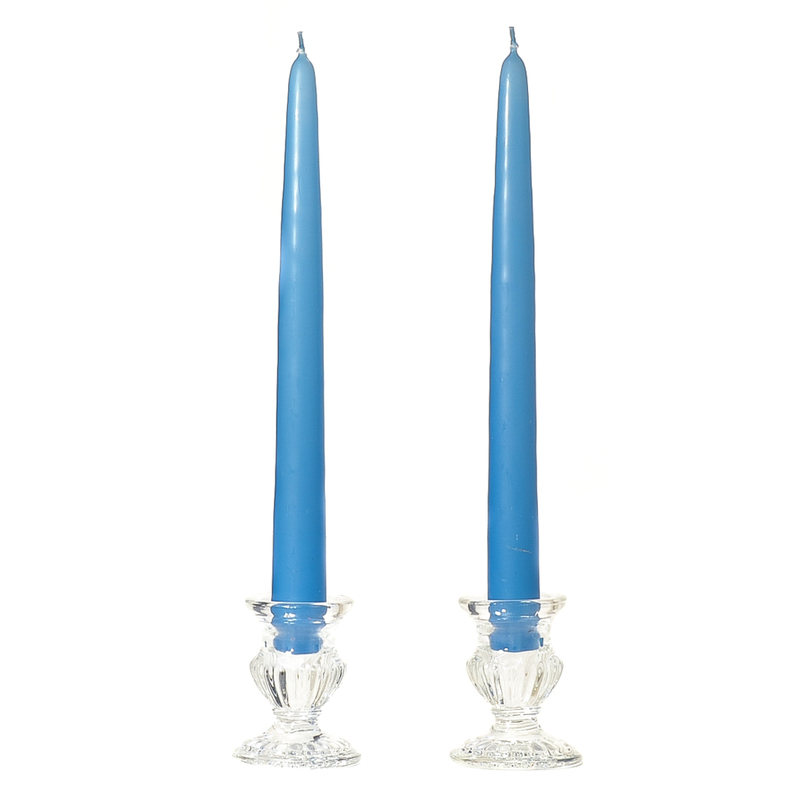 Our tall unscented 15 inch colonial blue taper candles are made by a dipping process here in the U.S.A. The cotton wick is repeatedly dipped into white paraffin wax until it forms the core of our tapers. Once the desired thickness is reached, the white taper is dipped into colored wax. The colored wax is a higher melt temperature and that is what makes our taper candles dripless. We sell these as a pair because two candles are joined together by the wick. Our unscented tapers, floater, votives, and pillars are perfect to combine together to create beautiful arrangements for in your home or next event.